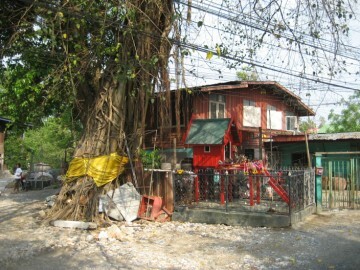 junction with Khlong Ban Bat. having nearly the same name - Wat Jao Dok Dua. constructions as the area is largely urbanized. 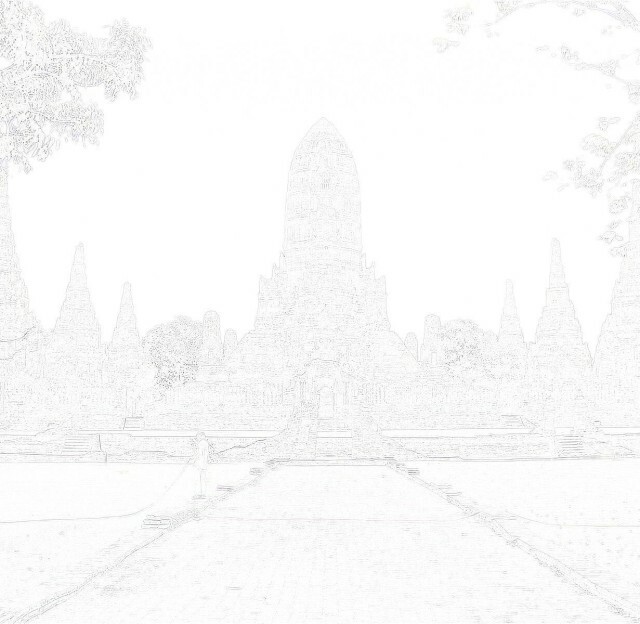 was recalled from his temple in 1760 in order to take care of the defenses of Ayutthaya. 'Pho Sua' or 'Father Tiger' - a name indicated on one of the smaller shrines in the area. Whether or not there is a link to King Sua (reign 1703-1709) could not be confirmed. person, but this person still remains a mystery. 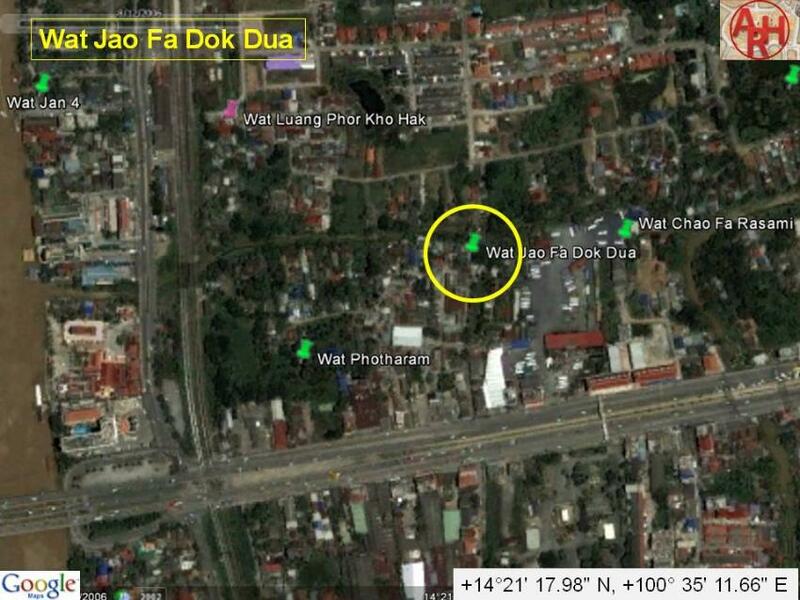 situated in geographical coordinates: 14° 21' 17.98" N, 100° 35' 11.66" E.
 A History of Siam - W.A.R. Wood (1924) - Chalermnit Press. ex-King Uthumphon (r. 1758) found refuge after the Burmese attack of Ayutthaya in 1760.
sought refuge in the Palace of Princess Rasami, a daughter of King Borommakot (r. 1733-1758). Palace of Jao Fa Dok Madua (nickname of ex-King Uthumphon). 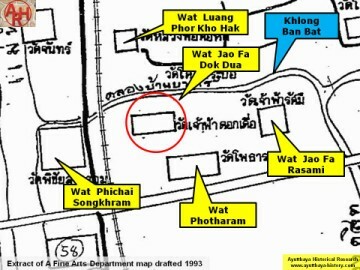 The Palace of Jao Fa Rasami is although not found on PBR's map drafted in 1926. The reason is not known. PBR only indicated Wat Photharam.